Watches are all about oscillations and oscillators. A watch needs to have something inside it that moves in a way that can mark time. Since the fourteenth century, this has been a balance wheel, mounted on pivots and powered by a spring. The ‘tick, tick, tick…’ you hear when you hold a watch to your ear is the balance wheel swinging round, getting caught by the escapement and swinging back. The more oscillations the wheel can make in a second, the more accurate the watch, by and large. As watchmakers and metallurgists have got cleverer, so balance wheels have got faster. The fastest mechanical watches today usually beat at around 36,000 beats per hour – around 10 per second – with a few specialist movements going a whole lick quicker. 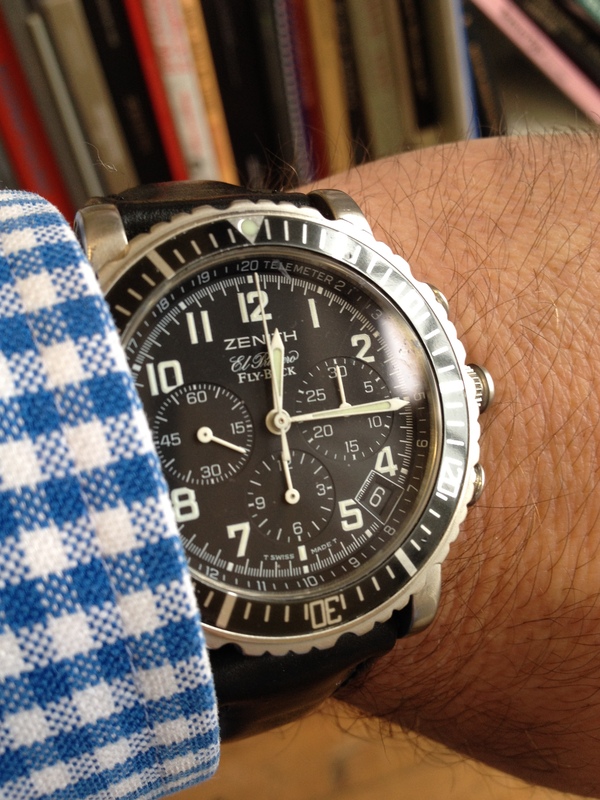 The Zenith El Primero, running a 36,000bph movement. But there’s only so fast a wheel can rotate before physics gets in the way. So watchmakers started looking for better, faster, oscillators. And that’s how they arrived at watches with a tiny piece of quartz as their oscillator. Today, if you have a quartz watch on your wrist, the tiny quartz crystal tuning fork sealed in a vacuum inside is beating at 32,768 times a second. Get yourself a Grand Seiko quartz with a 9F movement and it’s so accurate you only need to set it when the clocks change. But there was a stage between balance wheel and quartz that often gets forgotten – tuning fork watches. In 1953, sixteen years before Seiko’s first quartz watch, Arde Bulova and Max Hetzel collaborated to file the patent on a movement that used a tuning fork. This is the watch that became the Bulova Accutron. When the tuning fork vibrates in an Accutron, it moves a tiny ruby-tipped escapement that allows a 2.4mm diameter wheel to rotate, tooth by minute tooth. The second hand sweeps, rather than ticks, around the dial. And, rather than ticking, an Accutron hums. With just 12 moving parts and a battery for power, the Accutron not only never needed winding, it was as accurate as its name suggests. A battery meant there was no decay in power each day as the spring lost tension. The tuning fork was practically impervious to positional errors. Although the watch was accurate to just two seconds a day, this wasn’t that remarkable. There were already mechanical watches running at this sort of rate. But accurate watches had always been expensive, maintenance-intensive and relatively fragile. What marked the Accutron out as different was its price, its freedom from the need for regular maintenance and its ease of use. Accuracy had become democratic. The button on the left pulls out to set the watch. Accutrons have bounced along the bottom of the watch market since they fell out of favour in the 1970s. As quartz took over, the Accutron and its heirs, the Omega Megasonic cal. 1220 and 1230, the Swissonic and the HiSonic, became little more than curiosities. Now, they’re starting to become collectable in the mainstream. The skeleton Spaceview, the Astronaut and gold-cased models are beginning to fetch serious prices. Best not hang around if you want something historic in the watchbox that hums. My guilty secret. Vintage digitals. In theory, we should all love digis. Ask a digi-wearer the time and assuming he’s not an actuary, he’ll tell you, precise to the minute. It’ll be “five-forty-seven”; none of this vague and analogue “about quarter to six”. Digis are robust, never need servicing and are ready to go as soon as you drag them from the watchbox. But for most, they’re the watch equivalent of the slightly seedy uncle who insists that bri-nylon shirts are a good idea. A G-Shock may still be as socially acceptable as a cartoon character tie, but that distant bleeping you can hear is the start of the vintage digi revolution. While most watchnerds have been busy drooling over the latest ultra-mech innovations, vintage digitals have been quietly lifted out of the musty charity shop glass cabinet into the auction catalogue. There was even an LCD Speedie. It’s started with the earliest LED (light-emitting diode) glowing-digit Pulsars from the 1970s. To get a P2 under your paisley cuff in 1973 would have cost you $395. That’s $10 more than a Sub. Today, apart from being sufficiently well-built to double as a lump hammer, a decent early Pulsar P2, even in stainless steel, will set you back around £350. OK, that’s nowhere near the stratospheric rise of the Sub, but five years ago the ladies at your local Cats’ Protection League shop would have turned up their noses at it. 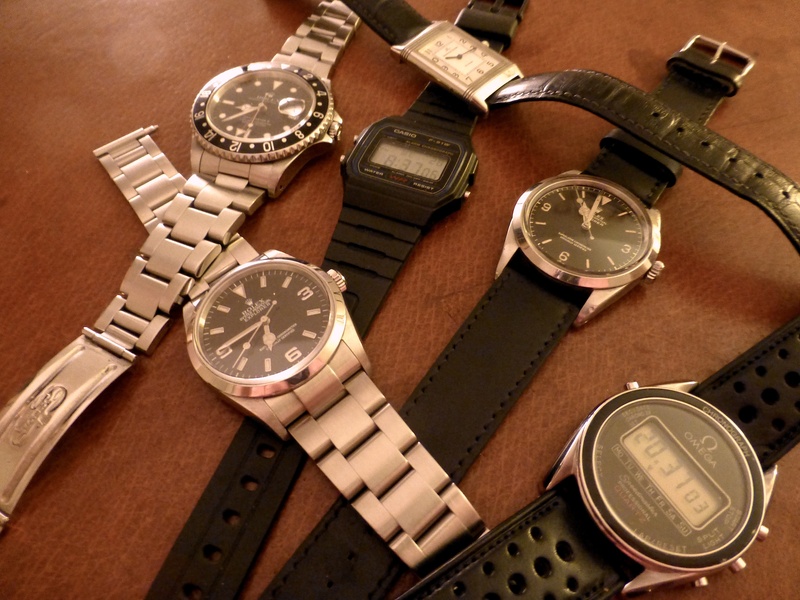 For horological history at pocket-money prices, vintage digital can’t be beat. And, yes, it was the one Roger Moore wore in Live and Let Die… Making it the coolest digital ever made by default. 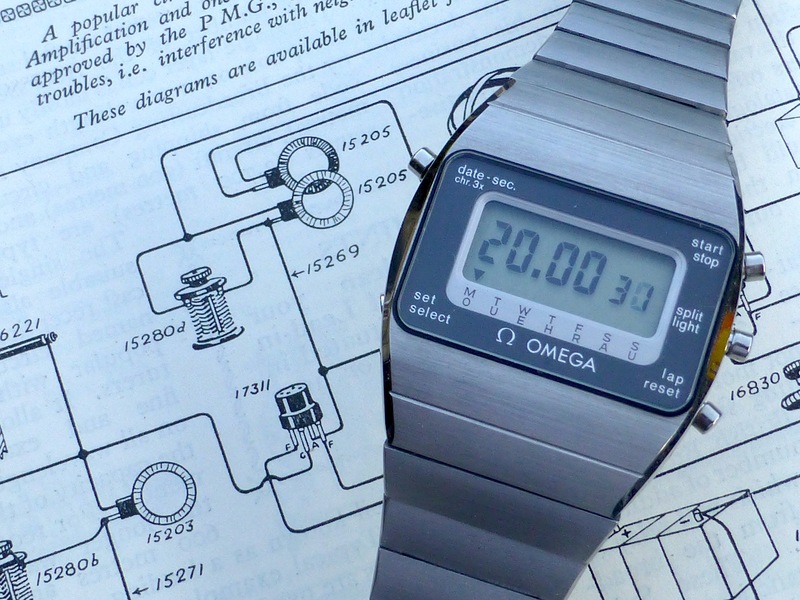 For example, an Omega TC1 – the Time Computer – Omega’s first venture into LED watches. Like the Pulsar (it shares much of the technology), its red LEDs peer out from an elegant case that feels as though it’s been hand-milled it from billet stainless. 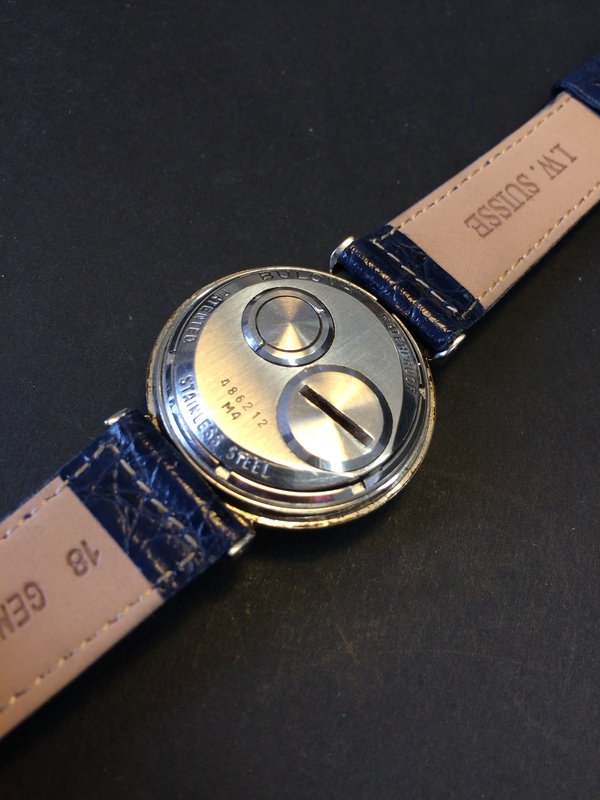 But you set the time, not with a button on the side or a crown, but by unclipping a tiny magnet from the strap’s clasp and placing it in special slots on the caseback. And you’ll find one of these – the first prestige digis – for under a thousand today. But LED is for the truly dedicated; the digi-faithful who want a watch with a firm place in history. They are practical everyday timekeepers in the same way that an Aston Martin Lagonda would make a good daily driver. Move to LCD (liquid-crystal display) and more established brands and you’ll get a watch that will stand up to being used and where you don’t need to press a button to find out the time. 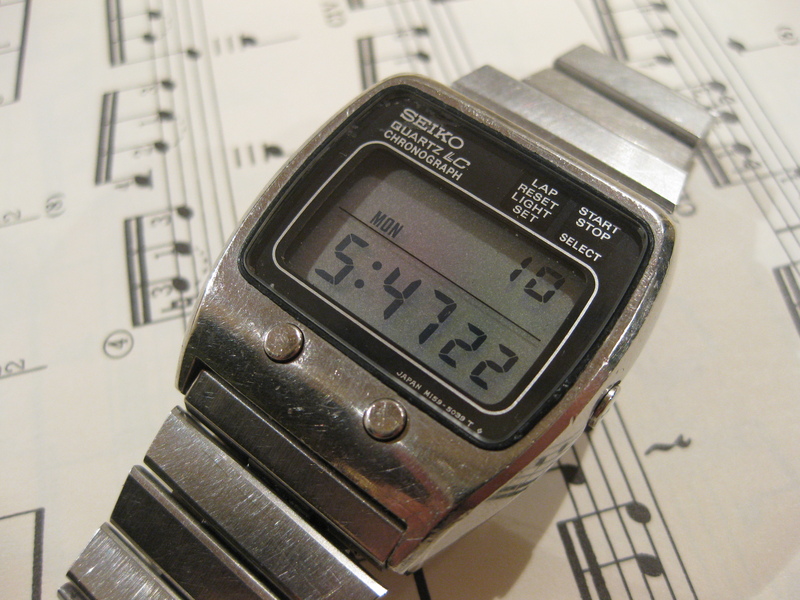 The early Seiko M series LCDs are a fine bet. They share the robustness of the Pulsars, but with rather more style and a less bulimic attitude to batteries. A chunk of 1970s cool for around £100. This M159 even has the address of its previous Californian owner’s ‘70s, ice-cold plateglass and concrete Capistrano Beach house engraved on the clasp. Omega weren’t slow in developing their own movements. The cal. 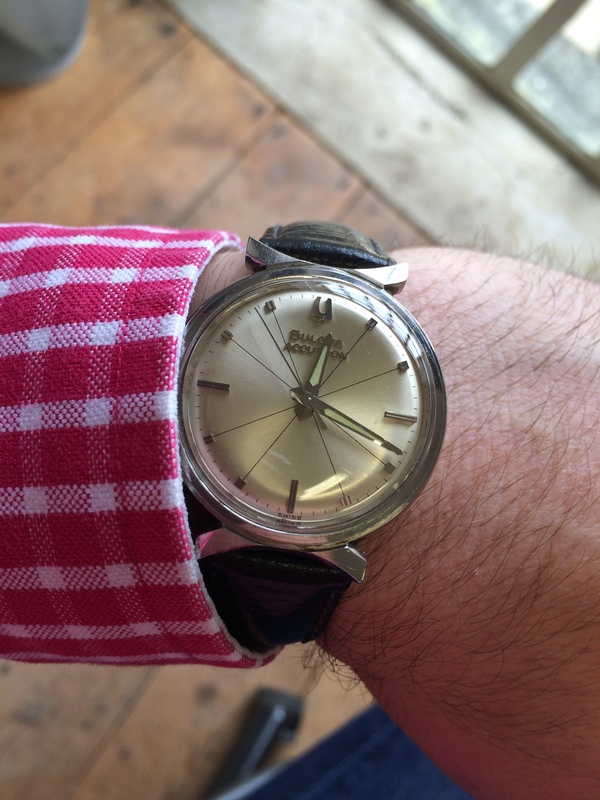 1620 powered a series of new watches from the mid 1970s including this 1977 Constellation. 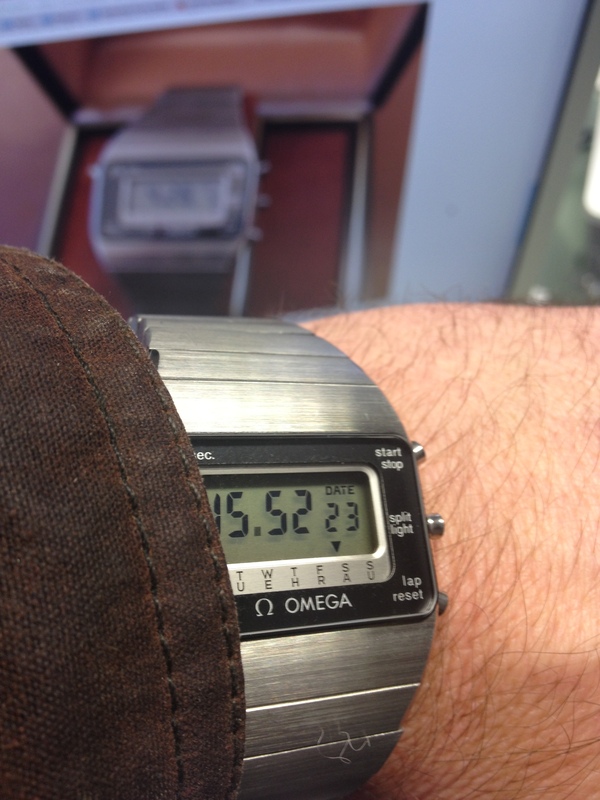 Omega only produced the Constellation with the cal.1620 quartz LCD movement for 18 months. Typically for vintage digi, the movements are exceptionally well made – this one even has a tiny circuit jumper to change the display from 12 to 24 hours. But they weren’t around long. Back then, quartz was still wallet-meltingly expensive. One like this barely makes a dent today at around £500, but they’re going up fast. And it’s a fascinating field. Who knew there was a digi version of the iconic Speedmaster and Seamaster, each sharing a calibre with the Constellation above? There’s the jam factor too – for most people, vintage digitals are just ‘old watches’, so there are still plenty of bargains around. The market has started to get smart though… you’ll be lucky to find an Omega or a Pulsar at the local jumble sale, but you can pick something remarkable up before most people get wise. Significant mechanical history pieces are out of almost every watchlovers’ reach. Fancy an early Louis Moinet chronograph? Best take up burglary then. One of Rieussec’s? Time for the jemmy, stripey jumper and swag bag. But an example of the world’s first digi quartz chronograph? Get on the web, two clicks and it’s yours for under £500. Digitals won’t be like this for ever. They’re unlikely to reach the stratospheric heights of vintage Patek or Rolex, but the signs are the better known brands are already on the up. Digis are engaging, a real piece of horological history and they won’t cost you a fortune. In fact, just sell your watchwinder and you could probably pick up a couple of good ‘uns.